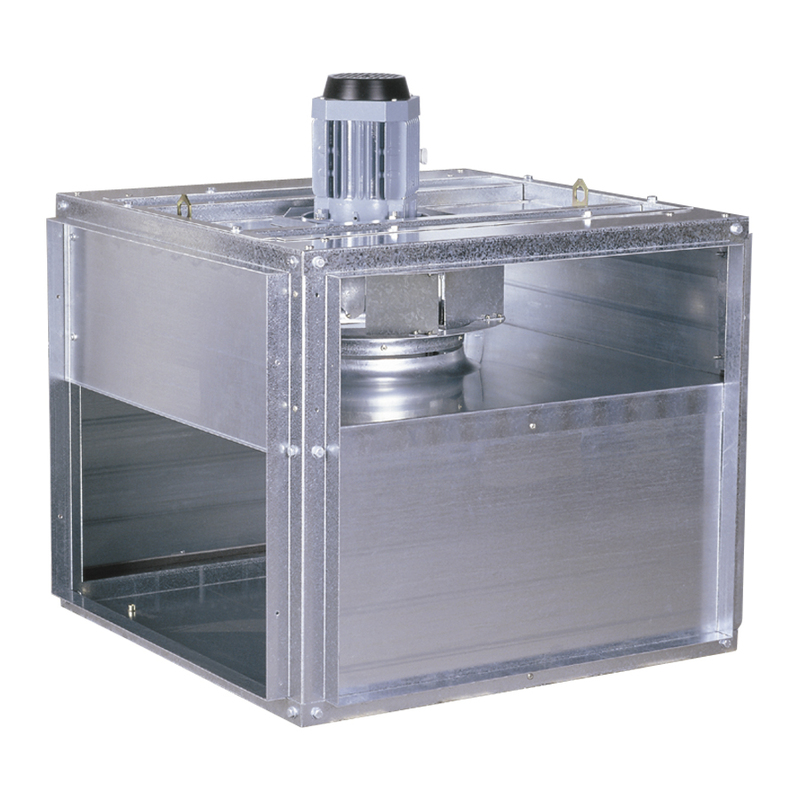 At S&P, we have a number of different fan solutions for smoke extraction fans, with the ability to transfer air at high temperatures. Among our different models of fans you will find: axial fans, roof fans, ventilation boxes, centrifugal fans or in-line fans. The Jet fans are capable of moving large volumes of air in car parks, tunnels and all kinds of large spaces. This equipment is capable of working immersed in 400ºC/2h or 300ºC/2h (depending on the model). The TJHT models are reversible, while the TJHU models are unidirectional. The first ones can be selected with diameters ranging from 315mm to 630mm, while the TJHU series can have diameters ranging from 315 to 400mm. 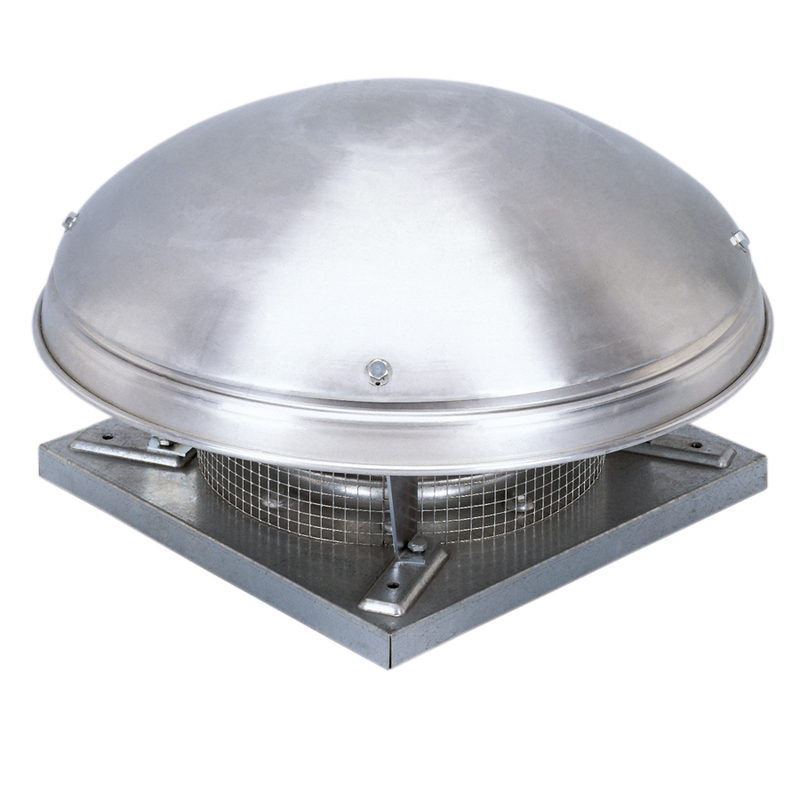 These units have an external connection box and two circular silencers made of galvanised sheet steel, as well as a protective grille for suction and discharge. Single-speed and two-pole equipment is available on request. MAX-TEMP CTVB/CTVT, designed for car parks, industrial kitchens and fireplaces. MAX-TEMP CTVB/CTVT centrifugal ceiling fans are capable of transferring air at 400ºC/2h. These fans are made of galvanised sheet steel, aluminium casing, and centrifugal impeller with backwards blades protected by a bird proof safety net, galvanised supports and screws and IP55 motor, self-cooling Class F with permanently lubricated ball bearings. 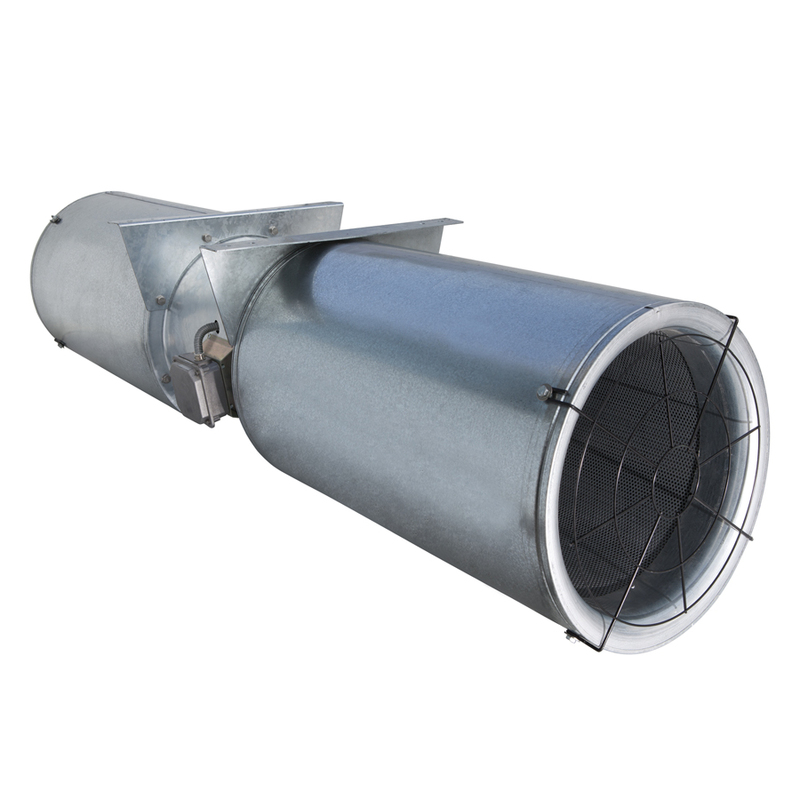 Models 140,180,200 and 225 are especially suitable for triggering chimneys. 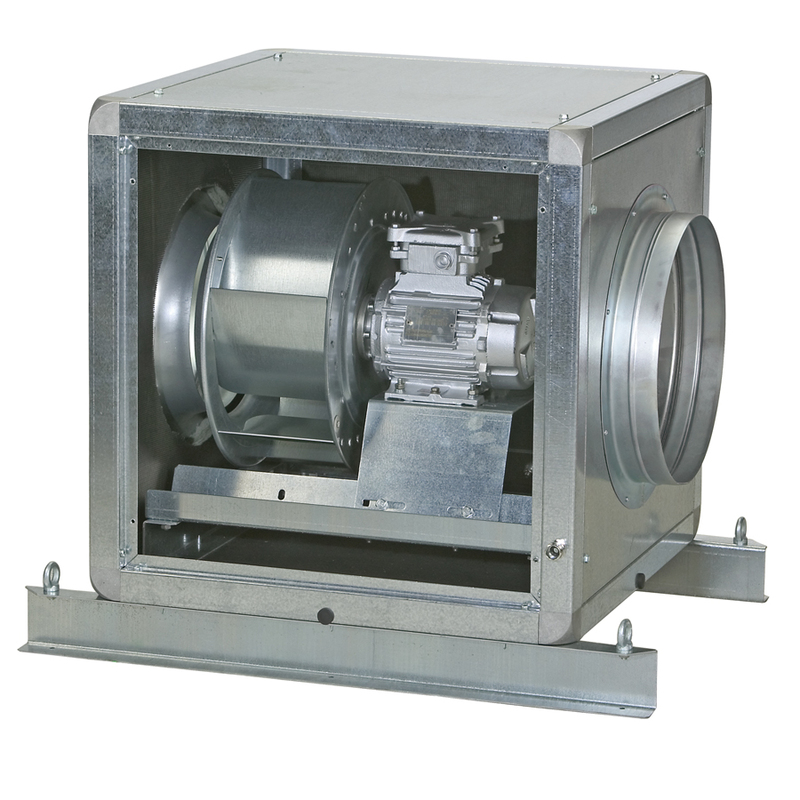 The centrifugal fans with simple extraction and extraction are capable of working in 400ºC/2h environments. These equipment are made of steel sheet steel protected with anti-corrosive epoxy-polyester paint, impeller in galvanized steel with dynamically balanced front vanes, three-phase motor, IP55, Class H for continuous operation (S1) or in case of emergency (S2). The motors of these fans can be located to the right or to the left and have an adjustable volute, in both cases to offer 16 different combinations. 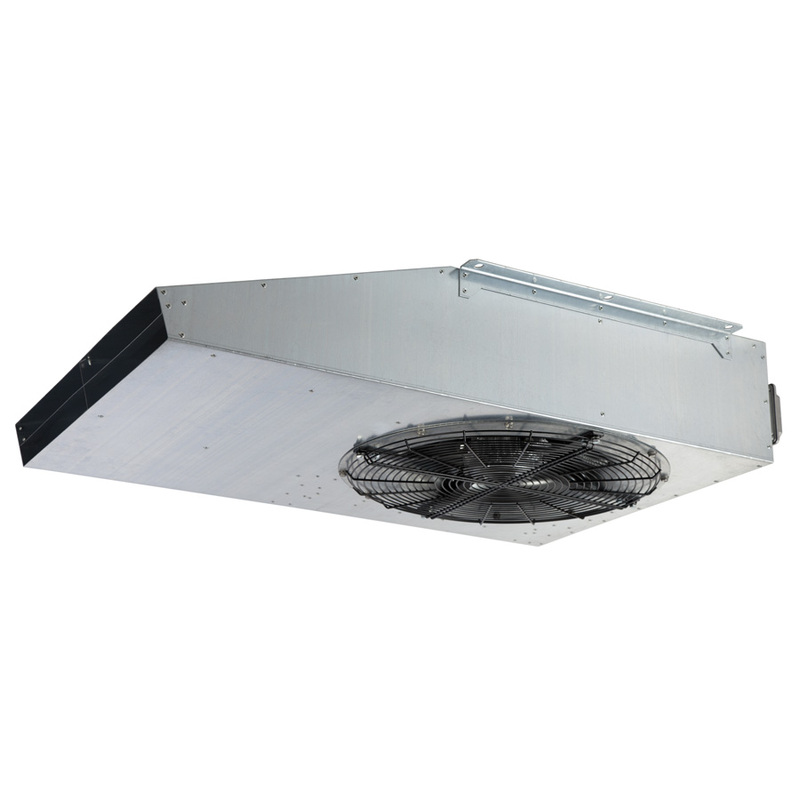 The in-line fans for rectangular duct, drawing, are capable of transferring air at 400ºC/2h. These equipment are made of reinforced galvanized steel plate, to be installed in any shaft position and are equipped with a centrifugal fan with dynamically balanced backward blades with three-phase motor, IP55, Class F, with permanent greased ball bearings. On request it is possible to order double panel versions of 25mm glass wool.